Rather than regurgitate a bunch of stories I thought I could instead just post a handful of links to Scottish pipers (and for the matter American pipers) news stories I’ve found interesting the last few days. I’ll leave you this time with a picture of Scotland’s greatest hero. 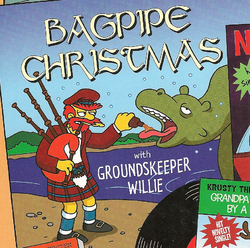 Groundskeeper Willie!